Online gambling has certainly become a major industry across the world and although grey markets continue to exist in big countries such as the United States, Spain, France and Italy, the residents take full advantage of the great internet options available. In fact, a recent study shows that online gambling is the second most favorite form of entertainment for Italians, after video games. This means it is bigger than football despite the fact that Italy is also known for its incredible fan base for this sport. The regulations regarding online gambling in Italy have been constantly changing since 2006. Over the years, more options have been made available and with the new law coming into power in 2010, major foreign operators were able to launch real money online games in the country. While a license is required from the local gaming authority, the online gambling offer in Italy contains skill games, poker, casino games, sports betting, horse racing and bingo. Some of the biggest online casino operators focus on this market given the huge number of interested players. According to the study, Italians wagered €749 million over the internet last year, representing €14.5 million more than in 2011. Compared to the €100 million residents of the country generated in cinema revenues in the same period, it is easy to see how big online gambling actually is. The revenue is three times bigger than what football stadiums made and double the revenue from theaters. 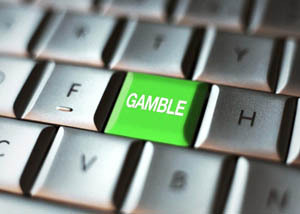 A report from the Observatory of Online Game of Milan Polytechnic indicates the fact that a big part of the online gambling growth in 2012 is due to increase in mobile usage. Devices like smartphones and tablets allow players to take their favorite gambling games wherever they go and enjoy a few short sessions. The Casino Luck review presents one of the leading online casinos in Italy, powered by Net Entertainment and with a great mobile platform. With the introduction of online slots towards the end of last year and the mobile boom, it is highly likely that the numbers for 2013 will be even more impressive. Smartphones and tables are estimated to be now available to around 20 million people and the lowering prices and constantly improving devices will make it easier to own one. The data also shows that the average gambler is between the ages of 25 and 44 years, male, and from center or south Italy. While there are many reasons for online gambling growing so much in recent years, one of the things that tend to attract a lot of customers is the offer they get for playing at a certain online casino. The bonuses and promotions have become a big part of the industry where money is required to play and win. This is why Lucky Red online casino offers one of the biggest welcome bonuses on the internet, worth 400% of up to $4,000 on the first deposit with no maximum cashout. This bonus is just available for slots and players that want to enjoy blackjack and video games for free can very easily claim the 100% bonus of up to $1,000. Traditional brick and mortar casinos don’t even come close to this kind of promotional incentives and the fact that you can play your favorite games from home makes it a lot more comfortable. Other bonuses and promotions are available after the initial deposit and every real money bet will generate comp points that can be exchanged for real money. Try LuckyRed Casino Here and get started by downloading the free software and choosing from over 120 great looking casino games.